The Differential Association has been AWOL for some months now. Its winning mix of light-hearted banter, deep criminological ponderings and devotion to holding monthly meet-ups in Dublin pubs has no doubt been much missed. There has been a very good reason for its prolonged absence. Members of the DA have been beavering away tirelessly behind the scenes to arrange a conference in which a lot of what happens at our monthly meetings will take place on a larger scale. 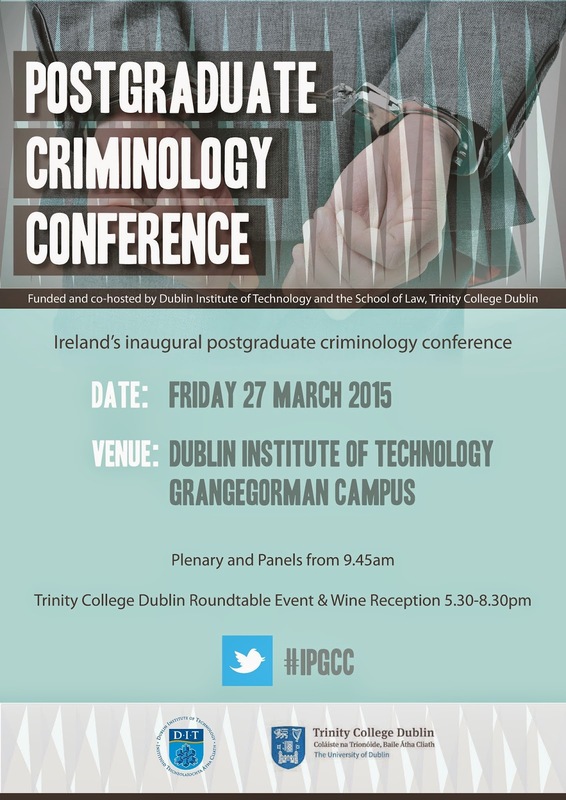 On Friday 27 March, the inaugural Irish Postgraduate Criminology Conference will be held. The conference is being co-hosted and funded by Dublin Institute of Technology, and the School of Law at Trinity College Dublin. It will bring together dozens of postgraduate researchers in the fields of criminology and criminal justice, criminal law, historical perspectives on crime and many others, to provide a space for research, both Irish and international. The invited speakers at the conference are Professor Ian O'Donnell, of University College Dublin, Professor Eamonn Carrabine of the University of Essex and Dr Claire Hamilton of NUI Maynooth. We feel hugely honoured to host these speakers, especially as each has authored a text which at one time was the selected reading material of a monthly meet-up! Normal service will resume for all those criminology discussions following the conference!